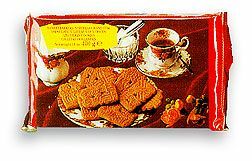 Easily the most well known Dutch Cookie. Crunchy and a little spicy like gingerbread. Everybody loves them. 14 oz pack has 33 cookies.